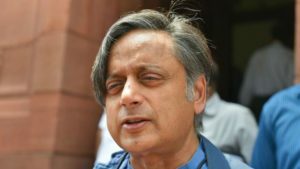 On Tharoor’s remark, Congress spokesperson R P N Singh said whatever Tharoor said was said in his personal capacity. The party believed that the verdict of the SC on the Ram Temple issue will be binding on everyone. However, he later claimed that his remarks were distorted out of malice. ‘I condemn the malicious distortion of my words by some media in the service of political masters. It is well known that Shashi Tharoor has a long history of his provocative remarks of the periodic burning issues. The Ram Temple is the new target of MP Shashi Tharoor to attract some limelight in this election season.